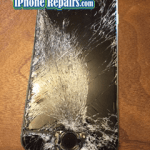 Looking for cell phone repair in Chilliwack then look no further. As your Chilliwack cellphone repair specialists, we can fix most phones for you in no time. Furthermore, we stock a large assortment of screens for various cellphone repair jobs. Stop by our Sardis location close to Garrison Crossing. We are located at 6240 Unsworth Road. From Vedder or Evans Road turn right heading west on to South Sumas road and left on Unsworth Road. For the best service available and after sales support, come on in to see us. We are open 6 days a week excluding holidays. We get a lot of questions from people wanting to know how long we have been in business? 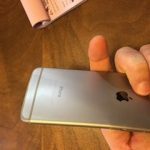 So having been fixing cell phones in Chilliwack for 5 years and have established an excellent reputation for honesty and integrity. 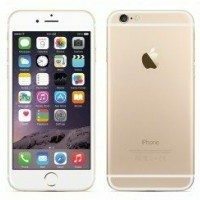 Chilliwack iPhone Repairs are very fair with any warranty issue and offer amazing service. Having been in the cellphone repair business in Chilliwack for as long as we have, we have established ourselves as being trustworthy as well as honest business. If we think its better for you to NOT get your phone fixed, we’ll tell you that. Sometimes it just doesn’t make sense to spend good money on a bad phone. Furthermore, our techs will tell you straight, not just take your money and run. The parts we use to repair your phone have been sourced to be the best available rather than the cheapest to buy. Our motto is simple, buy the best to offer the best. Backed by our 6 month warranty on most parts, you can rest assured we are offering the best available. If, in the unlikely event you do get a bad part, we replace it without any hassle. 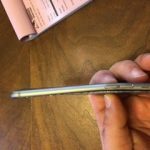 Just don’t break your phone and say its a faulty part. Parts don’t break spontaneously but manufacturers defects can occur. That is where the warranty comes in although you probably will never need it. 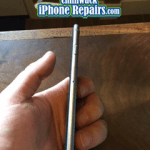 In Chilliwack cellphone repair is our specialty. What kinds of devices do we fix? In Chilliwack we offer more than just cellphone repairs. In addition to fixing iPhones and Android phones, we also fix iPads and Android Tablets. For iPhone repairs we can replace your screen if you break it. This is probably the most common issue with any phone, not just iPhones. We also fix power buttons, usb charge ports, battery replacements and almost any other problem that can occur. Water damage repair is on a case by case basis. Most water damage can be fixed if the phone is still wet. sadly, people try to fry the phone, then plug it in and end up frying it or it starts to corrode. Android phones can be fixed just the same as iPhones. 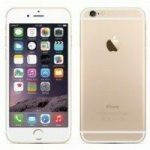 Chilliwack iPhone repairs carry a large selection of Android screens and other parts for Samsung phones as well. Due to the large number of phones on the market, it is impossible to keep all parts in stock. These devices can usually be repaired depending on the problem. Most often, the issue is a broken glass screen. The screen consists of the top glass and the touch digitizer. This controls what happens when you place your finger on the screen. The lcd or more commonly known as the picture display part can also be replaced if you put a new glass on. The glass generally breaks when removing and so must be replaced even to change a battery. These too can be fixed. A good rule of thumb with Tablets is to determine what you paid for the device. If you paid less than $150.00 it is most likely that parts won’t be available as this would be considered a disposable device. Not to say that it can’t always be fixed, just that it is probably not cost effective to do so. At this time we do not repair other devices such as GPS units or watches etc.